It's early in the year and the fishing is just getting started. While the water may be cold, the fish are obviously still living in the lake. They're still there feeding and offering us an opportunity to catch them. All we need to do is figure out where they are and how to catch them. 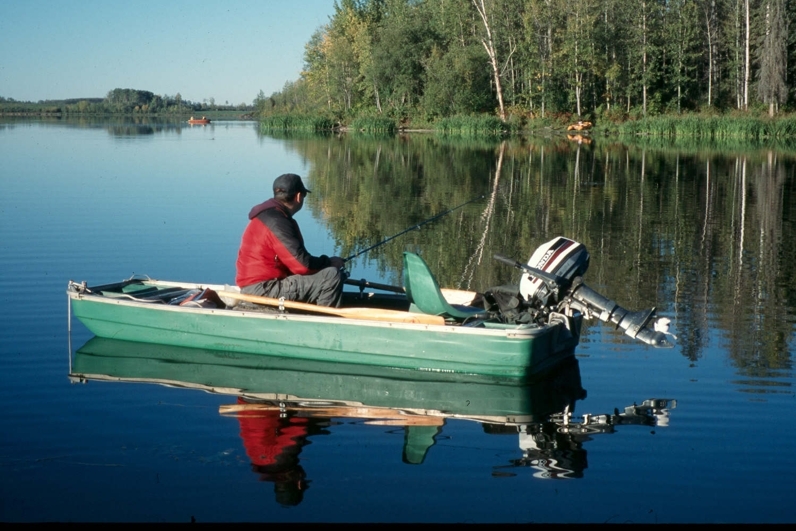 Given that many of us will be limited to trout fishing early in the season as many of our pike and walleye lakes are under closure, let's look at trout more closely. Rainbows are our most popular trout species and here are a few tips to figure out where they will be at this time of year. For one, consider that rainbows are spring spawners. 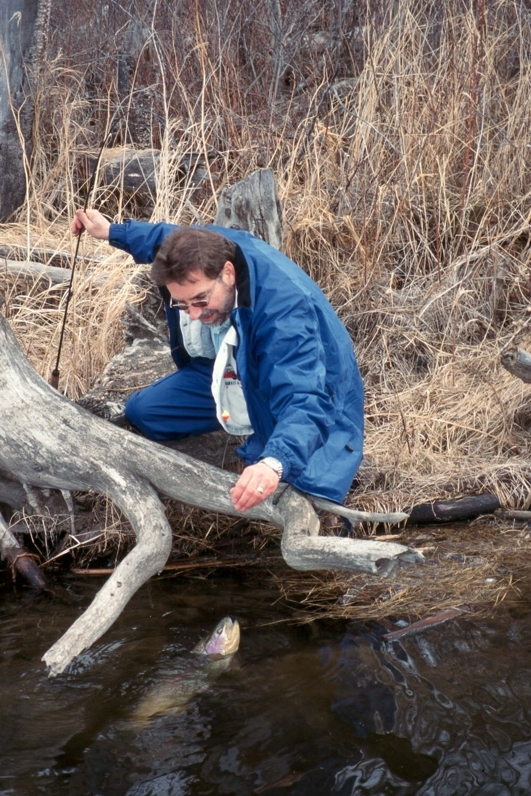 This means many of the biggest trout will be searching for shallow water suitable for spawning. They would ideally be looking for incoming or out flowing streams, but in the absence of this, they will make do with what is available. The next best place is a gravelly shoreline and you can expect them to be there. If this isnt available look for a back bay. 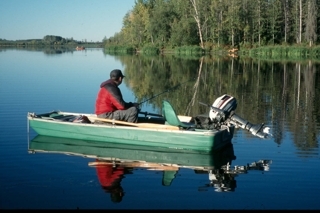 If all that fails, slowly patrol the shorelines, especially early in the morning or late in the evening when the lake is calm and look for the fish signs. By this I mean look for fish rising and wallowing about. Lots of times they show themselves by breaking surface making it easy to discover where they're hanging out. 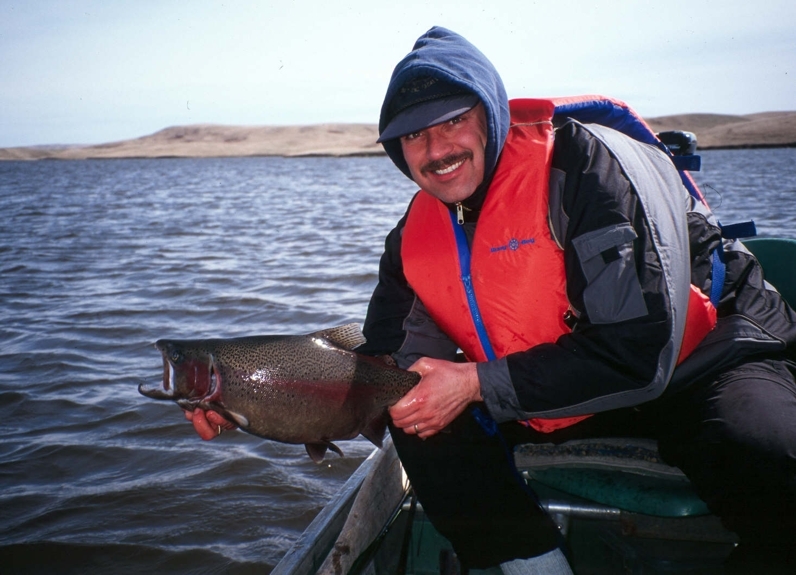 Now, it's good to find the spawners, not only because theyre big and catchable but as this is where you will also find good numbers of non-spawning trout as well and the reason is simple. They will hang close to eat the eggs that will be in abundance in these areas and this offers some excellent opportunities for some great trout action. If you're out on the lake in the early season and having a tough go of it, consider two things that both relate to temperature. A few degrees swing in temperature can make the difference between an OK day and a great day. A shallow muddy bottom bay that gets a lot of sun exposure will warm up first and believe me, the fish know it. Also as the surface water warms, a consistent wind can push the warm surface water to the windy shoreline where there'll be an accumulation of warm water. The fish know about this as well. These are good spots to target. 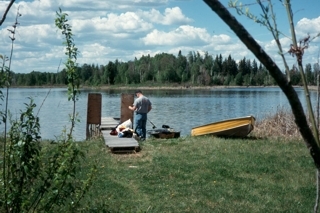 Both places could be veritable hotspots; pardon the pun and can land you into some great fishing.